Because of the nature of the condition, dealing with dementia often falls as heavily on the family as it does on the afflicted. There are some ways to help your loved one deal with dementia, including medications, therapy, specialized care homes, and home care. Here we will discuss what it means to have dementia, and what it can mean to help care for a loved one with dementia. We will also discuss some of the available care options for how to deal with dementia. The first thing to know about dementia is that it is not a disease. 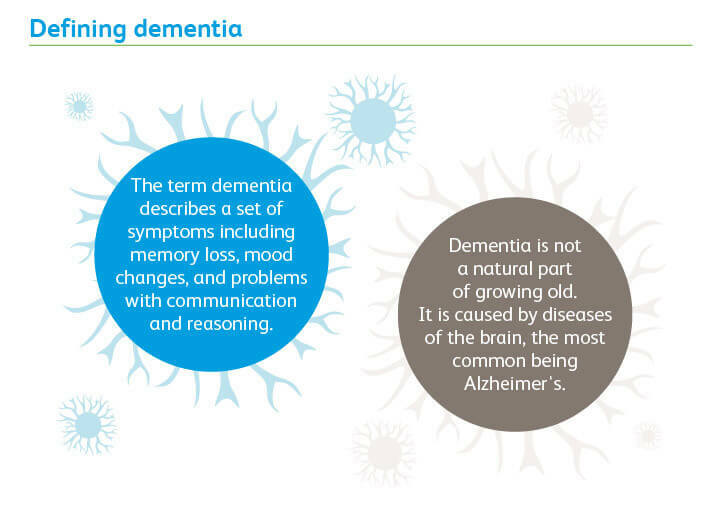 Dementia is the name of a group of symptoms that can be caused by some different conditions. When most people think about dementia, they think about memory loss. Memory loss is one of the symptoms included in dementia, but having memory loss doesn't necessarily mean that a person has dementia. Having dementia also impacts the way that a person thinks, behaves, and interacts with other people. The most common and most recognizable signs of dementia include memory loss, difficulty in choosing words, difficulty planning, motor problems, and personality changes. Symptoms that people are less likely to associate with dementia include hallucinations, anxiety, and depression. Similar to memory loss, it is important not to see one of these symptoms in a loved one and assume that they have dementia. That is particularly the case with motor problems and depression, which can occur in advanced age for some reasons that may not be related to the conditions that cause dementia. If you notice any of these symptoms independently it doesn't mean that you should not take them seriously. Encourage a loved one to see a professional for a definite diagnosis. Dementia is best dealt with when it is diagnosed early. Even if possible symptoms aren't dementia, they can still be treated by a doctor. 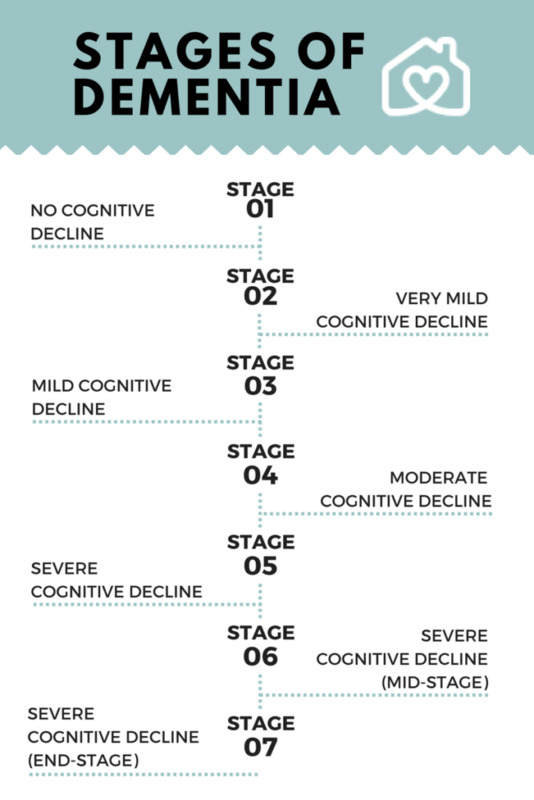 Dementia can begin to occur at any age, depending on the cause. Symptoms are most likely to begin to occur after age 65 and are most common in people with a family history of dementia. Unfortunately, dementia was not always as well understood as it is now, so people at or around this age may not know for sure whether their older relatives had dementia or not. As mentioned above, dementia can be caused by a wide variety of conditions. The cause of dementia will naturally impact the kind of care that the individual will require. As a result, it is worth discussing some of the most common conditions that cause dementia, though the aim of this article is not to include every possible cause. Alzheimer's Disease is likely the best-known cause of dementia and is the most common cause in people over 65. The exact cause of this disease is unknown, and it is so far incurable, though there are treatments available that can slow its progression. Vascular dementia, the next most common cause, is the result of damaged blood vessels in the brain. This is also an example of dementia that can begin earlier in life. It is more common in older individuals, however, as strokes can cause it. Similar to vascular dementia, dementia can also be caused by trauma to the head, as can occur in car accidents and other events. 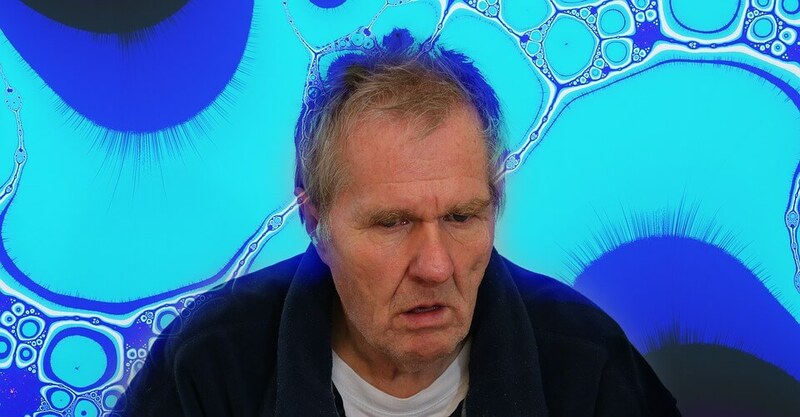 Huntington's Disease is another example of a condition that causes dementia at earlier ages, with symptoms usually appearing as early as the person's 30s or 40s. Huntington's Disease causes dementia as parts of the nervous system to begin to fail. Finally, dementia can also develop in people with Parkinson's Disease, another nervous system disorder. Because of the emotionally and personally difficult nature of dementia, people with dementia are often cared for at home by family members. Family members provide care by managing medications and meals for their loved ones, as well as keeping an eye on them and allowing them to remain in a familiar environment. Eventually, however, many families find that they eventually have to admit their loved one to a care facility. This can be because caring for the loved one gets in the way of other obligations, including work. Another common reason is that because dementia is often caused by conditions that also impact physical health, most families are eventually unable to offer the required medical care in a home setting. While the individual is at home, one of the biggest concerns becomes wandering. This can occur in the mild stage of dementia when the individual is having problems with memory, planning, and making decisions, but may still be in good physical health. Memory problems, problems planning, and poor decision making can mean that the individual may also need help with meals to ensure that they are eating well. In later stages, the underlying cause of dementia may have caused sufficient physical damage to the nervous system to cause problems with coordination. It becomes increasingly difficult for the individual to get around and to perform basic tasks. Eventually, they will be unable to do things like go to the bathroom and eat on their own. For even the most dedicated home-caregivers, these later stages are when it becomes time to consider how to move a parent with dementia into assisted living or nursing care. Assisted living and nursing care facilities take a great deal off of the shoulders of home-caregivers by taking over meal preparation, medication concerns, and general care of the bed-bound dementia patient. They are also more likely to have the ability to provide long-term advanced medical care in a setting that is still more comfortable and welcoming than a hospital. While some family members prefer to provide home care for as long as possible for their family member dealing with dementia, there are some benefits to making the transition to assisted living earlier in the process. Some of these benefits have to do with the difficulties of living with dementia. Many assisted living communities have special services to help to slow the progression of dementia through counseling, activities, and special meals. These treatments do the best when they are started early in the process. Sometimes these treatments are accessible to people who are not staying in the nursing home, but they may not be in some areas. Dementia assisted living is also often more able to provide a comfortable setting for people living with dementia. For example, people with dementia are often easily agitated, and things like the hustle and bustle of living in a family household might make them more irritable. While some individuals with dementia prefer to live with family as long as possible, some find dementia assisted living to be more relaxing. These facilities are also better equipped to handle medical emergencies that may or may not be associated with dementia, like falls. Some of the benefits of moving a loved one with dementia into assisted living, however, have to do with the difficulties of caring for a person living with dementia. Many people find that they cannot provide adequate care while working full-time but that working less would prove too financially difficult. Many people also find providing care to a loved one living with dementia to be too emotionally difficult. 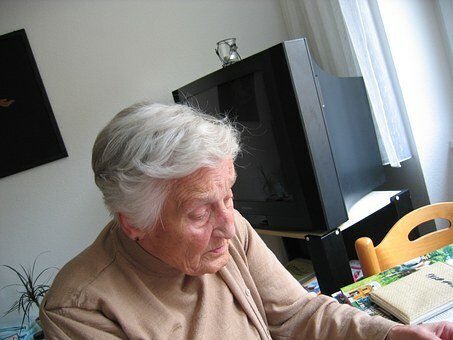 Many assisted living communities often provide "respite care." Respite care is when a home caregiver checks their loved one into an assisted living community for a couple of days. This allows the caregiver to take a vacation, leave town on business, or do whatever they need to do. Knowing that this service is available can be a real relief early in the process, but it can also be a good way to introduce all parties involved to the idea of the loved one living with dementia to eventually transition to one of these communities fulltime. Not all assisted living facilities offer respite care, however, so check out their websites or call their management to find out which assisted living communities near you to do or don't offer it. Because physical ailments cause dementia, the care provider needs to include medical intervention. Those with dementia can experience some satisfaction from talking to a counselor or therapist to slow the progression of dementia and to come to terms with the nature of their illness. Counseling and therapy can also be important for the family members of someone with dementia. The caregivers can experience "Caregiver burnout," a name for the physical and emotional exhaustion that can come from caring for another person around the clock. Because most forms of dementia are progressive and end in the death of the individual, the family members of the individual can also experience something called "anticipatory grief." Both of these sensations can put the caregiver and family member at risk of serious conditions themselves, such as depression. If you or someone you know is dealing with dementia, consider seeking help from a licensed professional. For information on the services available for you and your loved one at BetterHelp, visit https://www.betterhelp.com/start.